The gift of time is always nice. 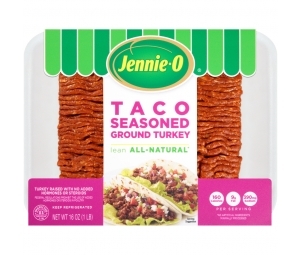 When you buy a JENNIE-O® OVEN-READY™ Turkey, you don’t have to wait for it to thaw. 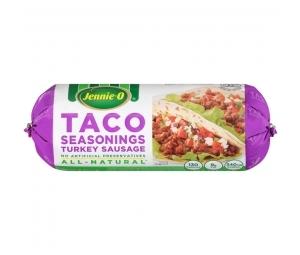 Make the turkey the easiest part of your Thanksgiving meal. No thawing. No prepping. No doubt they’ll love it. 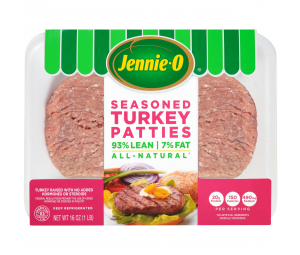 JENNIE‑O® OVEN READY™ Turkey makes Thanksgiving easy. Prep your electric roaster the night before. 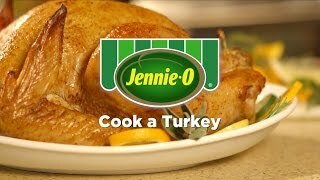 Then, on Thanksgiving, simply wake and bake this tender, delicious turkey. 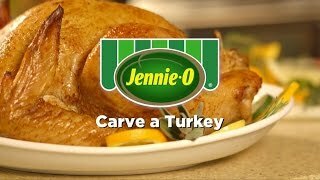 A new holiday trend, grilling frees up oven space while ensuring a juicy, tender turkey. A chili, cumin and red pepper rub kicks up the flavor-level of your Thanksgiving turkey. Fresh herbs and citrus zest flavor this moist and tender roasted turkey. Complete your menu with a delicious seasonal mix of two types of oven roasted squash tossed with fresh arugula. Turn leftovers into a tasty breakfast casserole with this strata. This savory casserole is topped with an irresistible streusel crumble. Not only are these potatoes delicious, but they’ll save you time on Thanksgiving Day. 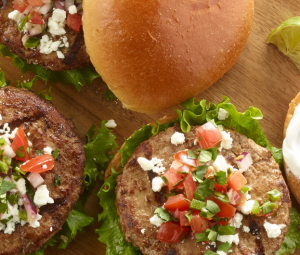 A crowd-pleasing recipe that calls for just four simple ingredients. This harvest-inspired mix, sprinkled with crisp bacon, is an irresistible holiday side. Bright fruit flavors liven up your classic relish. Make it the night before to save time Thanksgiving morning! This crisp, seasonal salad comes together quickly, especially when the dressing is mixed—up to a week—ahead of time. Bake and mash these potatoes up to two-days prior to Thanksgiving. Then, day-of, simply stir in seasonings and bake until bubbly. An increasingly popular alternative to rolls, these breadsticks feature roasted red pepper, olive spread and Parmesan cheese. Mashed potatoes featuring spicy chorizo and white cheddar cheese will become a new holiday favorite. ffing flavors all rolled up into an impressive little ball. ns featuring fresh whole kernel corn, cooked in cornhusks until golden brown. Juicy kernels of corn sautéed with red pepper, zucchini, green onion and jalapeño. Classic dressing gets a makeover with the addition of green chilies, onions, garlic, turkey pepperoni and more. Fresh, crisp green beans and sautéed mushrooms provide a delicious alternative to traditional green bean casserole. Wild rice and barley pair with cranberries and orange zest in this flavorful side dish. Turkey Sausage and gruyere cheese crescent rolls with be an instant hit your brunch this holiday season. For a beautiful and simple Thanksgiving dessert, this Raspberry Almond Buttermilk Coffee Cake is sure to impress. This spin on relish adds a citrusy, minty touch to a classic cranberry recipe. Impress your friends with this beautiful—100% doable—apple dessert. Warm up from the inside out with this fall-inspired cocktail. Serve every guest their very own pumpkin pie—the cutest (and tastiest) one they might ever see! Bake up these individually-portioned desserts while you and your guests feast on the main course. Spiced pumpkin and cheesecake filling come together in individual dessert shooters. Peanut Butter and fudge come together in this irresistible dessert. Toast to fall with this fresh, bubbly cocktail. Apple pie has met its match in this delectable cheesecake, marrying cinnamon apples with melted white chocolate. Keep drinks simple and delicious. Combine cider, caramel vodka and champagne with a few spices! Day-old Thanksgiving rolls or bread make the perfect base for this next-day breakfast casserole. What to do with extra relish post-Thanksgiving? Use it as a flavorful topping for salad greens! Turn your leftover butternut squash into a thick, creamy soup for the day after Thanksgiving. Create flavorful turkey-cranberry-salad sandwiches to breathe new life into yesterday’s leftover turkey, relish and rolls. With just 5-ingredients, this Holiday Ham offers a lot of flavor without a lot of prep.